Live album released September 2014, featuring the recording of November 10, 1979. So a complete concert without Not Bad At All which is why Frida’s introduction of the band seems very short and a bit misplaced. She actually introduced the band and the following song featuring Tomas Ledin and Mats Ronander. 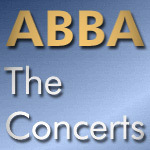 Some video footage of this and Agnetha & Frida on backing vocals can be found in the Japan tour feature included on the bonus disc of ABBA in Japan. Whether the track was excluded because of copyrights or similiar reasons or just because it might not have fit the vinyl edition is not known – the vinyl edition was released on three LPs instead of four as the first information in spring said. the superior audio quality and more importantly, it featured the track I’m Still Alive, performed by Fältskog and co-written with Ulvaeus, which has never been officially released till now. Anyway, this album finally deserves to be called a live album. ABBA appear very raw here, without overdubs and such, but also playful and energetic. The impession sometimes is very different to the studio material, but it is a treat for those loving raw live recordings. So if you want perfectness, stick with the studio albums, if you are a fan of live atmosphere and some improvisation, this album is for you. If you come across bad reviews, always make sure to verify what the people write about as the worst reviews seem to refer to the vinyl edition only.